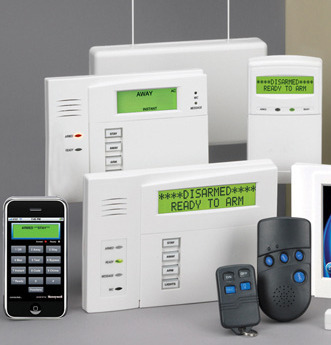 At Apex Security, we pride ourselves on offering the latest that technology has to offer in electronic security. 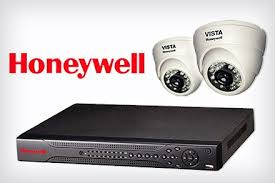 We use alarm system parts from industry leaders such as Honeywell. GE, DSC and others. We only sell brands and products that we would trust to secure our own business. Whether it’s during the work day, on the weekend or after hours, you know that Apex Security is monitoring the security of your commercial property with the same care we would monitor our own business. Apex offers 24 hour private security response services through our own Mobile Division available in the Thunder Bay area. 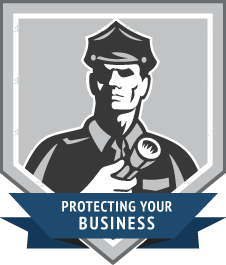 Guard service is affordable, adds value to your business and gives you peace of mind. Don’t lose another night’s sleep to a false alarm. Don’t worry about your staff responding to emergencies at 3 a.m. When everyone else is sleeping, a team of trained individuals is on the job. Let us do the work of protecting your business while you work to grow it. Guard response is available either as perimeter service where we send a guard to your residence and he walks around the house looking for any breach in your security or for interior service where he enters your home and makes sure everything is alright. Interior service will require a key access, and key holding is provided by Apex. In a difficult economy, every business is looking to be more innovative. Unfortunately, many unsavory individuals are doing the same. Recently in Canada, we’ve seen increasing numbers of criminals breaking into businesses and cutting phone lines and network cables to try to disable security systems. They’re doing this so they can take their time loading getaway vehicles with everything of value. Don’t let the bad guys get away with it. A smart option for your business is a GSM cellular backup. Security systems from Apex Security are already designed to trigger alarms if there’s any attempt at tampering, but cellular backup adds an extra layer of protection. By the time your unwanted visitor can get to the alarm panel to try to smash it, it’s too late. The signal has gone out to our monitoring centre via the cellular network. And if the system isn’t properly deactivated or if Apex doesn’t get the right response from a contact over the phone, we’ll alert the authorities and get someone to your business right away. GSM cellular backup is a must for all businesses, and it’s cheaper than even the most basic of cell phones. These systems are often a simple upgrade to an existing security system. Sometimes a new alarm panel is needed. Either way, Apex can get you the equipment you need without breaking the bank. Don’t leave your business open to insurance claims and downtime for police investigations while you clean up after a break in. Call Apex Security and ask for a commercial security specialist to review your security and provide a no-charge quote for cellular backup and monitoring. Your business or building is a valuable asset. Its safety is critically important to you and to your employees, customers and tenants. Ensure that your commercial property is equipped with a proper fire system, including monitored smoke detectors, emergency lighting, fire extinguishers, fire blankets and other important items. For insurance reasons, commercial fire protection systems should be installed by a certified fire alarm company. Apex maintains a list of companies, and we can work with them to ensure your system is connected to our monitoring station in time for inspection. Once your system is in place, Apex can provide full 24 hour fire panel monitoring. Call our commercial security advisors for more information. Apex’s Alarms System Division was created to provide a full range of video surveillance and closed-circuit television (CCTV) services. Your business has valuable assets – people, resources, data and property. Protect them and your clients with access control solutions. Price’s Alarms provides electronic access systems. Our systems are versatile and meet a wide range of security needs. They can be used to regulate one door or elevator in a single building, hundreds of doors in multiple buildings, or in several locations over a large geographic area. Any size building or office, from a few doors to hundreds, can benefit from access control. Removing the hassles of keys such as obtaining keys from terminated employees, the subsequent costs of rekeying doors, not to mention zero reporting capability all point to the benefits of electronic access control. You don’t need to have a large number of doors to be secured to make access control viable and affordable. Truly, any facility with doors and key holders is a viable candidate for electronic access control. For many commercial and industrial properties, optimal temperature is crucial. Whether you have refrigeration units that require a frosty climate, greenhouses that demand a balmy environment, or are located in an area prone to frozen water pipes, Apex’s Alarms offers temperature monitoring services that let you know when the conditions are less than ideal. We’ll let you know as soon as the temperature in your property is below or above required standards, giving you extra time to address the issue. Water damage can happen to any property, in any season and in any climate. Even if your business isn’t located in a flood-prone area or a cold climate, a small amount of flood water can cause thousands of dollars in flood damage. In many cases it’s unanticipated, making it difficult to plan for minimizing the amount of damage done your business. Flood alarms provide notification when there is water accumulation in your property, giving you more time to address the source of the flooding sooner rather than later.